Use this brilliant book for the 24 days leading up to Christmas and the season might be very different! Life changing insight into the true person of Jesus will also be yours as you read. 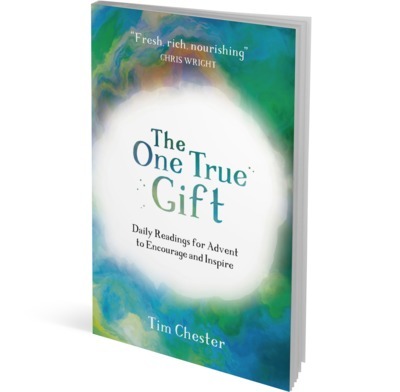 'The One True Gift' is a series of 24 readings that work in the same way as an Advent calendar, except this is much more nutritious. With reflections on Philippians 2, Tim Chester takes us thoughtfully into bite sized verses to meditate in such a way that truth goes into us, when normally energy and goodwill drain from us. Christmas is for giving—but draw first from the wells of Philippians 2 with Tim, and you will have much more to give. A really nourishing resource that keeps the focus on Christ.